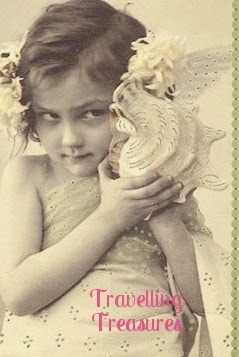 The most recent winner of Travelling Treasures is Illene over at retdairyqueen. After some delays earlier this year, I am so happy to see that Travelling Treasures is back on track. This is open to anyone in Australia or New Zealand who would like to play along. Illene has shown pictures of what she received, what she is keeping, and what she has added to the parcel. You have until 20 September to enter to be the next person to play along. The fun part is that you can keep anything you like as long as you add equally nice things for the next person to choose from.